This scuba diving resource makes a bold statement for recreational scuba divers and SSI Dive Leaders alike. 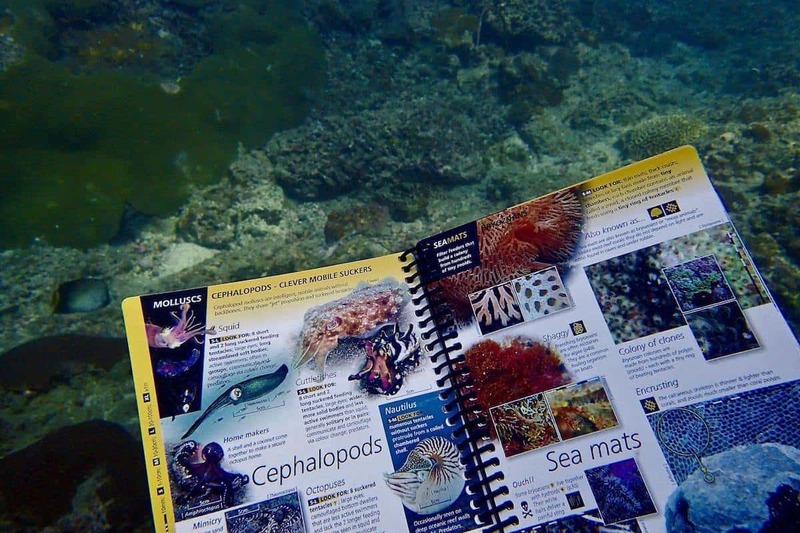 SSI Science of Diving Student manual is a full-color, 280 page manual with comprehensive content and stunning graphics that provides an in-depth study into the disciplines of scuba diving. SSI’s Science of Diving is the knowledge to mentally prepare scuba divers for all types of diving experiences and it is mandatory for SSI Dive Professional Courses. The information presented in this manual gives divers the knowledge they seek about how depth and time can affect the body. The manual provides a detailed look into diving physics and physiology, decompression theory, the components of the Total Diving System and the aquatic environment. Earning your Open Water Diver certification opens up a new underwater world, filled with opportunities to learn about physics, physiology and chemistry, and how they affect the human body while scuba diving. Your education does not have to end with your entry-level certification. The training provided in the SSI Science of Diving program increases your understanding of these topics, and provides you with additional information about decompression theory, and the components of your Total Diving System and its accessories. Good divers are always learning. Our goal is to improve your knowledge of the aquatic environment and the sport of recreational scuba diving, and to ensure that you enjoy every aspect of your diving experience. It is required training for most SSI Dive Professional programs, as well as some Extended Range programs. You will earn the SSI Science of Diving Specialty certification after completing this program. As humans, we are physically adapted to the natural land environment, which means that the “physics” of day-to-day living is instinctive. The effects of the underwater environment on the human body as well as the equipment used require the application of physics. No other sport requires such an in-depth knowledge of how your body functions, because no other sport puts you in such a completely different environment. Under water, you cannot breathe without scuba equipment and your body goes through unseen changes. Physics and Physiology can be reduced to three simple things: how depth, time, and rate of ascent can affect the body. Decompression theory is those limitations stated in dive tables and computers. Equipment is an important part of any sport, it is the life support system in diving. This section deals with an in-depth look at that equipment. The study of water and water movement is called “scuba oceanography.” The study of water creatures is called “aquatic life” for both ocean and fresh water inhabitants. The manual teaches divers all about both types of water and their inhabitants. Certified as an SSI Open Water Diver or certified as a Open Water Diver from an other training agency.